Welcome to the website of art historian Sanny de Zoete. 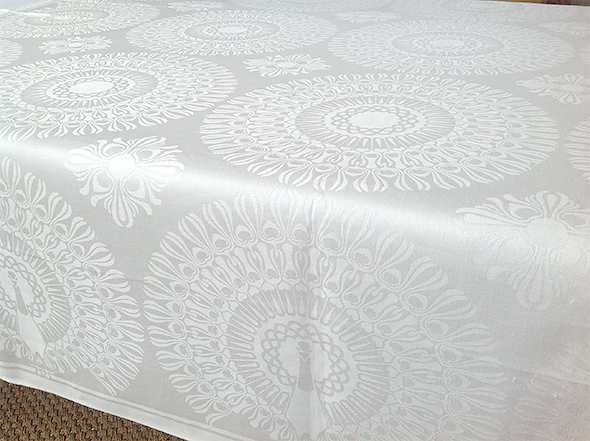 Thanks to her passion for antique damask, Sanny now produces top quality Dutch Design Damask Table Linen made to fit your dining room table. 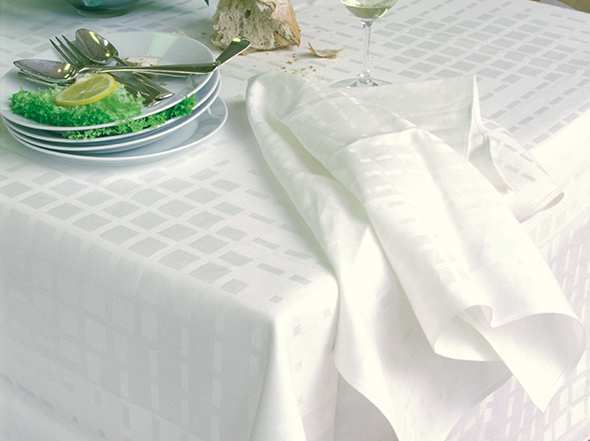 For damask in your church, please take a look at the Communion Linen collection. You are more than welcome to visit Sanny at home to experience her beautiful damask for yourself (please make an appointment). Do you live far away? Then watch the video Damask, from Fantasy to Fabric. 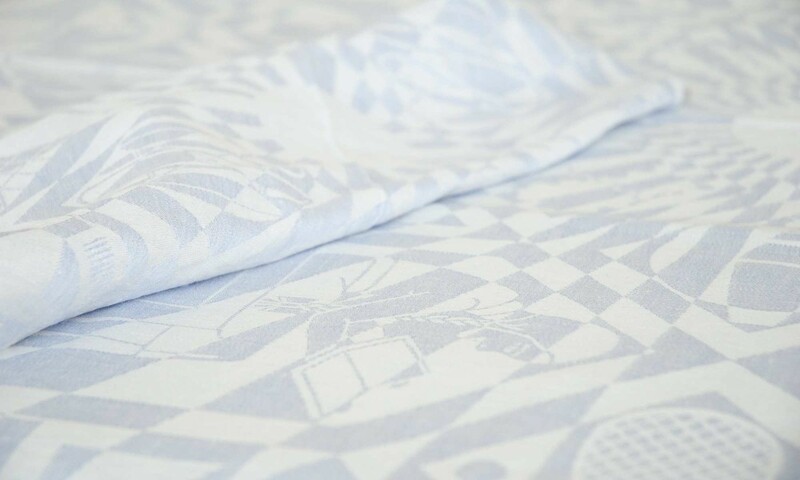 Do you have your own antique linen? 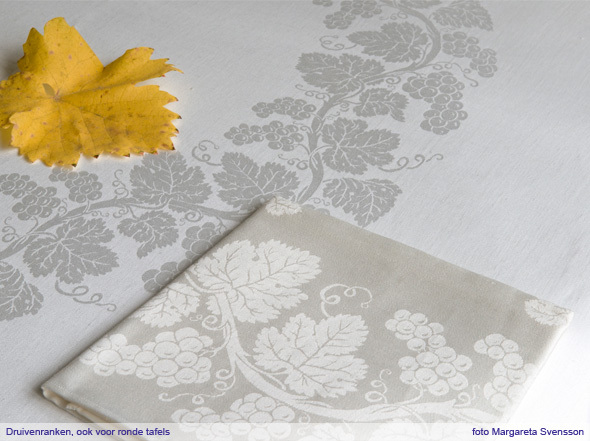 Sanny catalogues and values linen, damask, lace and embroidery for museums, foundations and private owners. 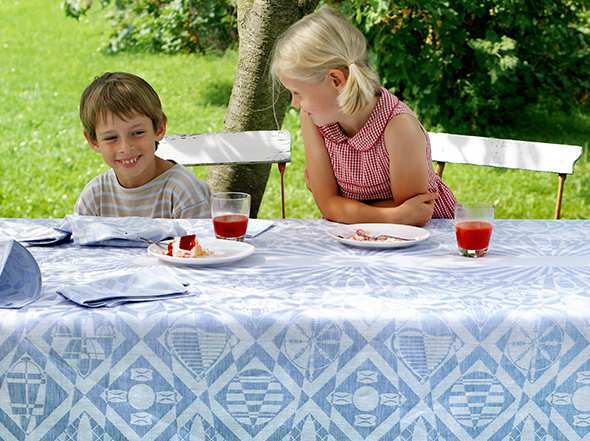 Would you like to find out more about the history of tablecloths and napkins? Sanny gives fascinating lectures on the subject. Perhaps an exhibition on table settings past and present would be just the thing for your museum or castle? Sanny is an enthusiastic guest curator for well-visited exhibitions. She also provides antique linen and damask on loan for exhibitions. Sanny is also currently writing an inspiring book on the history of linen damask. Sanny also imports electric cold mangles from Sweden – an essential piece of equipment for anyone wanting to give their beautiful linen the sheen it deserves.